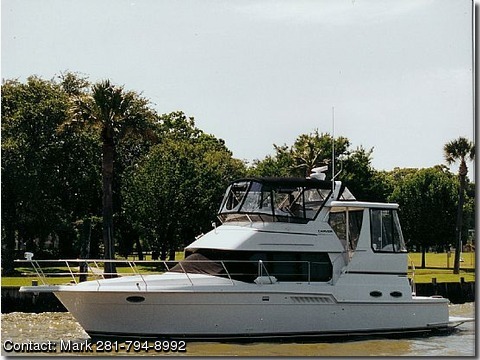 Carver 404 Cockpit Motor Yacht-1999.One owner,Length 40'Beam-13'3" Twin Volvo gas 7.4 MPI engines,2 private staterooms,2 heads,generator,2 AC'S,GPS,radar,loaded with options,$179,000. All original content Copyright © BoatsFSBO ™ 2010-2015 unless specified. Site source code by JGC.